This is our first try of live blogging an event. So we’ll see how it goes. 14h – For now, the scene is in place. The event should start soon. 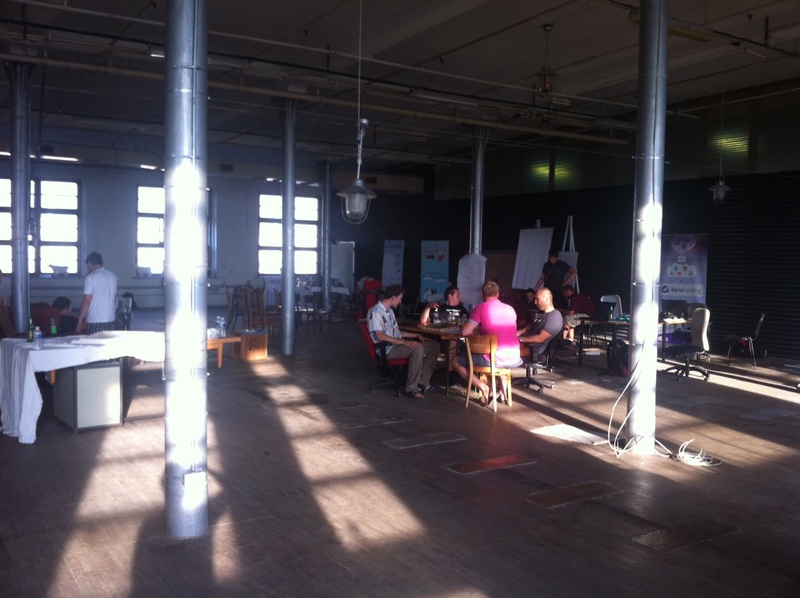 Here are a few pictures I took yesterday of the great space the event is happening in. And an other one of the speech of Pedro Janela. 14h15 : The full jury is almost in place. 14h17 : The audience is gathering. 14h45 : we are about to start! 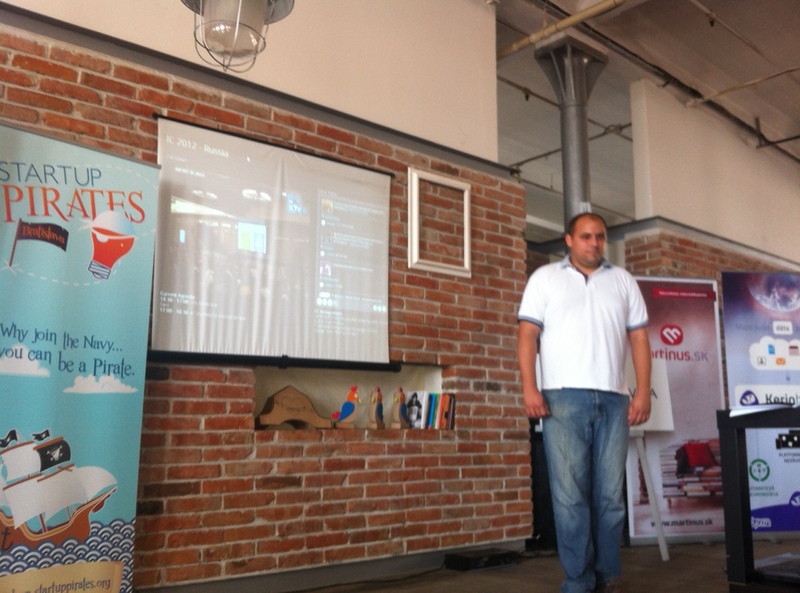 The rule is 8mn of pitch, then 8 minutes for questions (I think we gonna overshoot that). 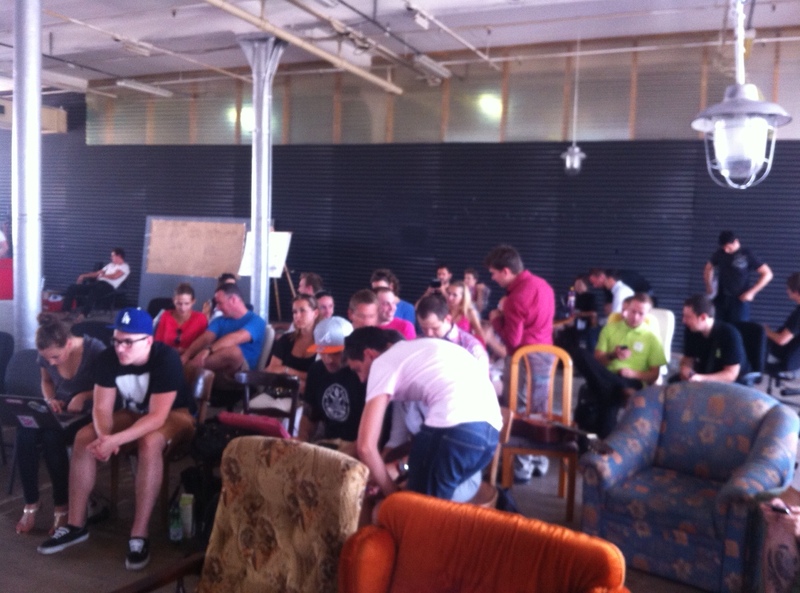 14h50 : time for a small introductory speech, and pep talk for the pitchers. The spirit : be brave, be crazy, be a Pirate! A few figures about the event. No chairs and no tables at the beginning. 76 bottles of rum are still to drink! Andrea is telling the story of all this happened. Great connections between Portugal and Slovakia actually. 16 participants came in, and formed 5 teams, then developed a full vision and transformed it into the beginning of a business plan. 15h: introduction and presentation of the jury. That’s us! 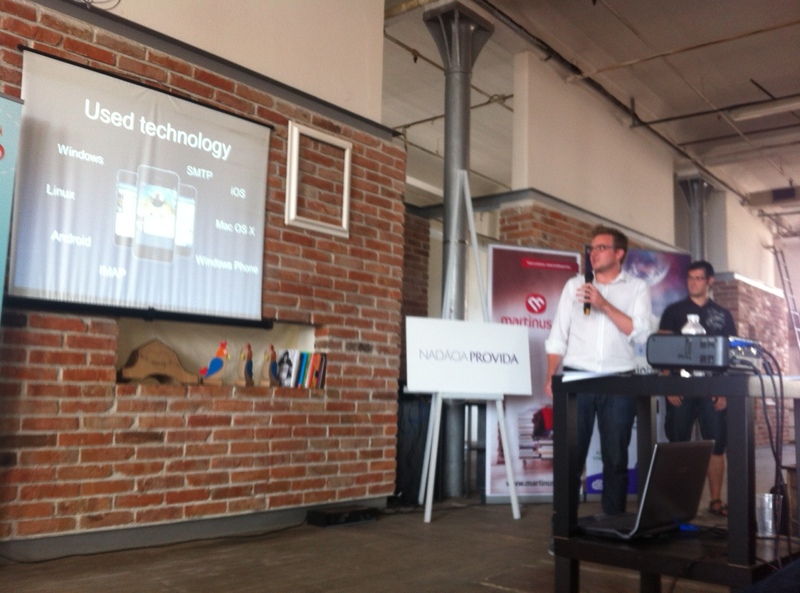 Then the main sponsors, like Venvivis, an early-stage investor based in Bratislava. First team : I teach, I learn, I work. It’s a website platform to bring all these 3 communities – teaching, learning and working – together. For companies to find the rightly skilled project member, and students to learn from great teachers. 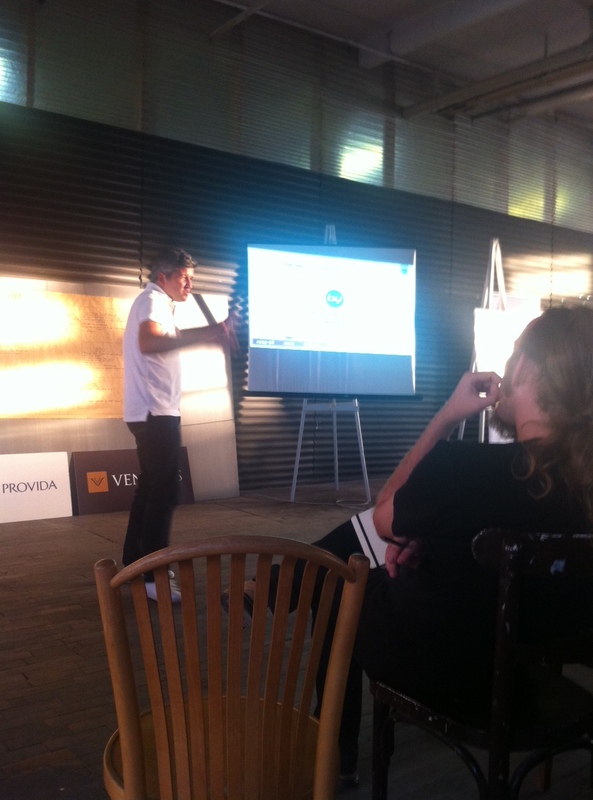 The presentation is very well sketched, the presenter a little bit stressed though. He manages to answer well. Second team : Touch 2 Go ! They even have a Prezi presentation, great ! They’re looking for solutions to get cabs to the 2000 people that don’t every week. Great story about how the idea came to them, and great speaker. They are trying to solve the “email problem”. That’s ambitious but ambition is great. Great presentation and figures about the problem. Transforming email into text-messages-like interface, with statistics and challenges to improve your productivity. Jury is tough on questions, but that’s the game… The team is fun and resistant, though. Little joke at the beginning, not bad. It’s all about an event organizer tool : before, during, and after the event. Great presentation, with a demo, and actual customers! Stands for global standard for AR games. Very impressive demo of an augmented reality technology, in fact. Selling games or technology, that’s the question! 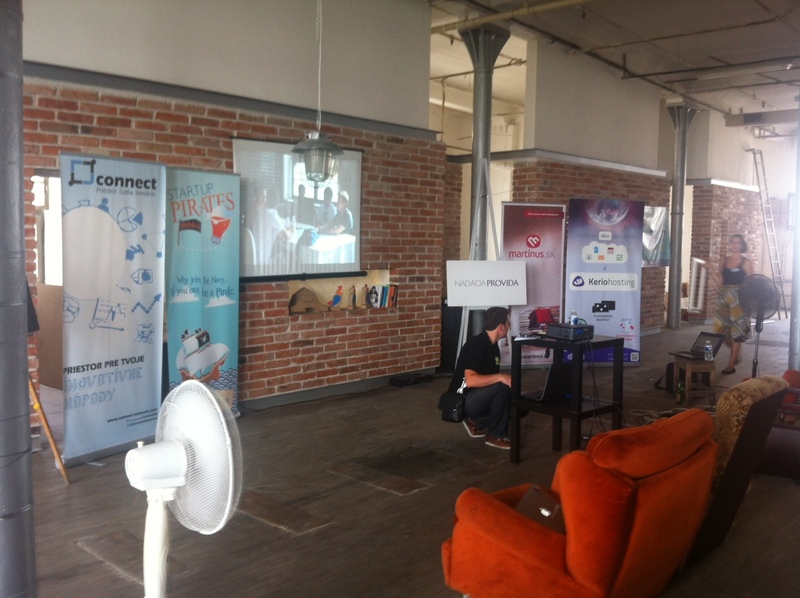 16h20 That’s it for the pitches, time to deliberate! Well, the winners are eWents.pro, boARd, and Time 2 Go (more or less in that order). Congratulations to all the team! More lengthy story about the event later! After a few months of publishing, it looked like a good idea to look back at startups we featured, and that you may have missed along the way. Since featured in February, they raised capital in May, and moved from Vienna to Berlin! They raised capital too, and look like they’re on a great path! For a first delivery of our newsletter, we could not get passed it. Not really a startup, and not exactly new either, but a common european vocation imposed it. Did you know there is a truly europeanmagazine ? It is called Cafe Babel (no relation to any church, we’ve been told). It’s a magazine, it’s a community, it’s available in five different languages, how more european could it be ? Organized as a network in several cities, with writers, editors and readers sharing news and mixing it up, it covers cultural and social events from all over Europe. As in any magazine, you can obviously find news, but with a european twist you can’t probably find anywhere else. You’ll dig up news in south Italy or eastern Europe you never heard of on your favorite TV channel. The bonus ? The story is written by someone who can explain the context and the details you would otherwise miss. The site is available in 6 different languages (english, german, french, spanish, italian and polish), with minor differences, thanks to dedicated translators. That’s not something you see a lot in the media landscape. As a community-based media, recent news are not the focus. You’ll find more of “long tail news”, sometimes lacking a bit of editorial direction.